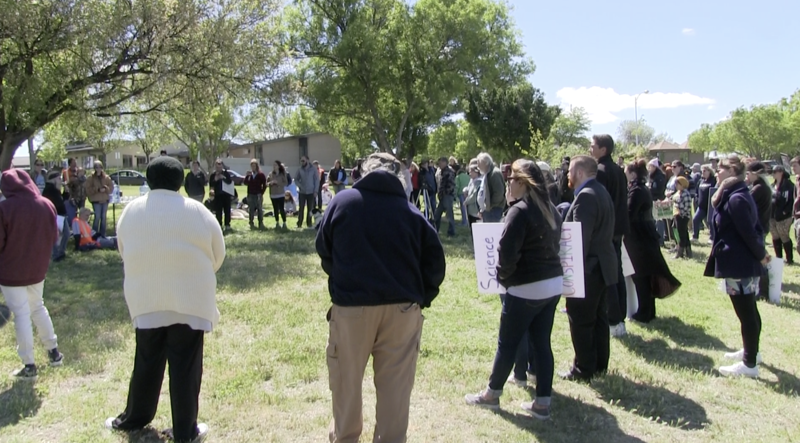 About 200 people spent Earth Day morning marching through western Amarillo as part of a national and global day of protest to counter what demonstrators said is an increasingly hostile attitude toward scientific knowledge and research by lawmakers and some groups in society. Marches were carried out Saturday in cities across the U.S. and around the world. Among the largest in the U.S. were marches in Washington, D.C., Atlanta and New York City, with global marches in Berlin, Paris, Munich and Sydney, according to reports. The March for Science idea largely came about as a form of protest of funding cuts for certain scientific agencies as proposed by President Donald Trump’s administration. Participants in March for Science Amarillo began with a sign-making gathering at City Studios, at Plains Boulevard and Western Street. Hoisting signs decorated with messages such as “Science is Not a Liberal Agenda,” “Science Helped Make America Great” and “Science Saves Lives,” the group started the more than two-mile trek to Medi Park. They reached the grassy hillside along Streit Drive near the Amarillo Botanical Gardens about midday. There, the group listened to organizers and invited speakers talk about how science has generated advancements in health, medicine, technology and other aspects of people’s daily lives, which speakers said shows the importance of maintaining and boosting resources to ensure science and scientific research can grow and continue. How much science has done can be easy to forget, said Mike McCloy, a Colorado wildlife scientist who attended the Amarillo march. Scientists themselves, McCloy added, should do more to remind elected officials and the public.